Though President Donald Trump this week expressed an interest in establishing a state-run TV news network due to his dissatisfaction with the media's coverage of his historically unpopular presidency, the Sinclair Broadcast Group on Tuesday appeared to fulfill that role with another of its "must-run" pro-Trump segments, this time defending the use of tear gas on migrant children at the southern U.S. border. In a segment all 173 Sinclair stations were ordered to air, former Trump adviser Boris Epshteyn rejected criticism of the tear-gassing and said the actions taken by U.S. border patrol agents on Sunday were necessary for the nation's security. "The fact of the matter is that this is an attempted invasion of our country. Period," Epshteyn said of the asylum-seekers who have spent the past several weeks traveling from Central America through Mexico to the border. "Our border must remain intact and secure." The so-called "caravan" played a central role in Trump's campaign speeches ahead of the midterm elections, with the president and other Republicans claiming that the relatively small group, which includes many parents and children, consisted of violent criminals. While medical professionals warned of the long-term health effects tear gas could have on children, and Mexico's Human Rights Commission condemned the use of the chemical, Epshteyn kept up Trump's narrative in his segment. 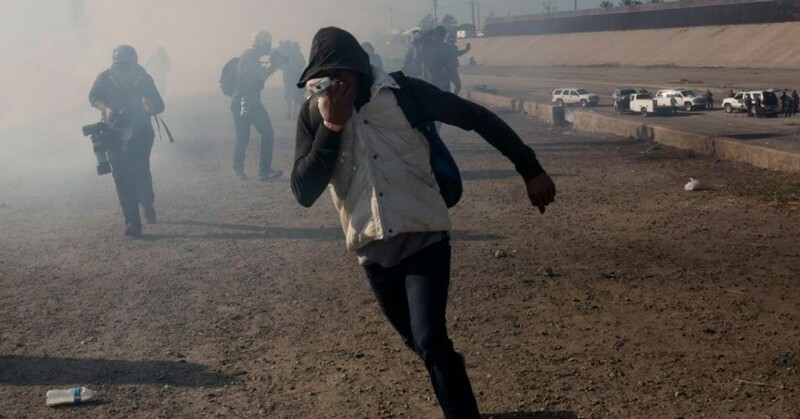 He referred to the group fleeing violence and unrest in their home countries as a "migrant crisis" and defended the use of tear gas to stop the "attack" on border patrol agents - despite the fact that the migrants were not armed. Sinclair has ordered its stations across the country to air several "must-run" segments defending the Trump administration's policies. Earlier this year, Epshteyn was featured in a segment about the president's family separation policy, which led to the forcible separation of about 2,000 children from their parents, slamming Trump's critics for acting as though "those who are tough on immigration are somehow monsters." Other "must-run" segments have included an attack on "one-sided stories" in the news media and a defense of Trump's comments about the white supremacist rally in Charlottesville in 2017 in which an attendee drove a car into a crowd of people, killing one counter-protester.